The Robert Stack-hosted true-crime and paranormal franchise that ran for more than 500 episodes between 1987 and 2000 on NBC and CBS is being revived on the streaming service with the help of Stranger Things executive producer Shawn Levy. 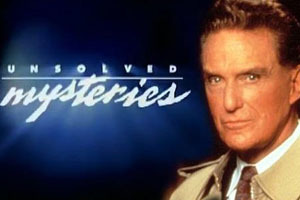 Unsolved Mysteries creators John Cosgrove and Terry Dunn Meurer have been hoping for a reboot for years, with Cosgrove saying in August 2017: "We are actively talking to a couple of broadcasters who have shown interest, and we’re very optimistic that we’ll have something by way of new episodes by the end of the year. It’s too early to go into much detail, but we’ve had our research producers look into possible stories and they’ve found some excellent ones which can be ready to go quickly.” Cosgrove and Meurer, who have maintained a web presence with new cases, will oversee the reboot, which has been ordered for 12 episodes. The Netflix reboot comes less than a year after Amazon updated old Unsolved Mysteries episodes.